Side Oven Bakery produce foods using natural ingredients to create traditional products that reflect the characteristics and heritage of the environment. They nurture through organic farming and environmental stewardship. By moving away from the clear plastic bag, to a eye catching structural robust box. The box design combined simple illustrations, clean typography, bold colours and a die-cut 'oven' window. 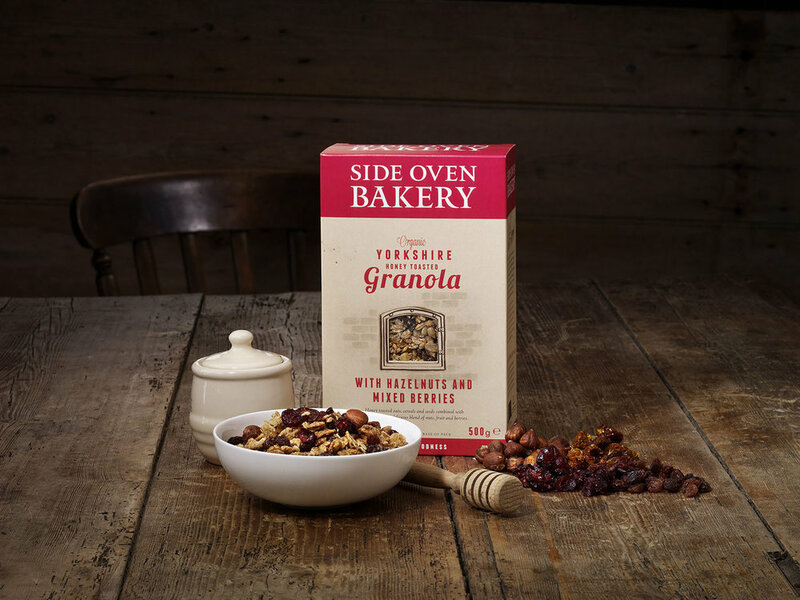 After the redesign in 2014, the product range has been awarded a Gold Star at 2015 Great Taste Awards.